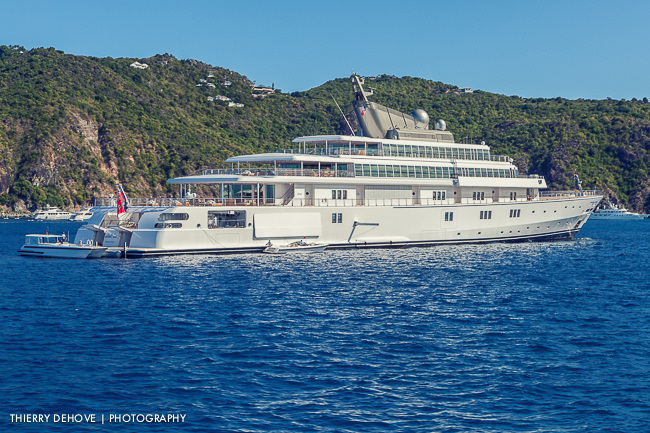 Rising Sun was at Cove Bay & St Barth. 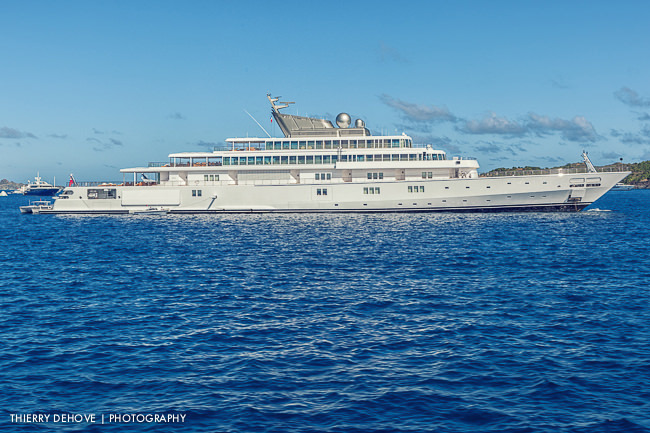 Beautiful mega yacht owned by David Geffen. 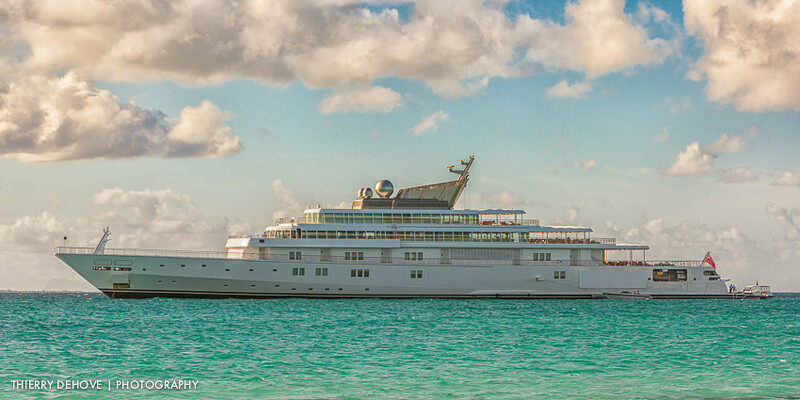 She is one of the 10th largest yacht in the world with 138 meters ( 453ft) for 16 guests with 45 crew, built in 2004 by Lurssen Yachts.